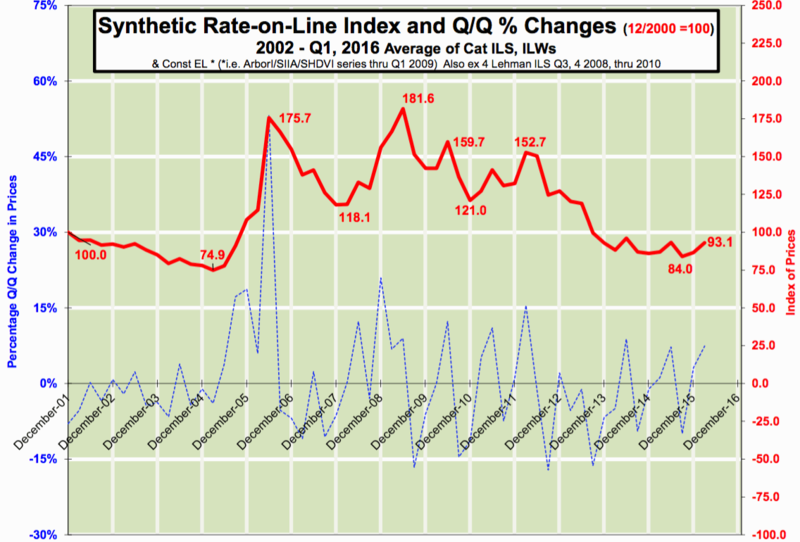 Insurance-linked security (ILS) and catastrophe bond rates-on-line have remained relatively stable for more than a year now, with the Lane Financial LLC synthetic rate-on-line index showing a slight uptick in the last quarter. Lane Financial’s latest report confirms the ILS rate hardening assumed to have occurred in the catastrophe bond and ILS market over recent months, as so many deals priced upwards of the mid-point of guidance and deals with higher yields emerged. It’s another layer of evidence to the bottoming of ILS investment manager and investor risk appetites, particularly for some U.S. peak property catastrophe reinsurance risks. Although there is also evidence of further ILS rate declines in some diversifying perils, as seen in a number of recent Japanese peril cat bond deals. At the end of December 2015 ILS consultancy Lane Financial’s synthetic rate-on-line index, which takes data from ILS and ILW markets to provide an approximation of premiums being paid (or rate-on-line) for ILS and cat bond transactions, rose by 8% from 86.6 points to 93.1 at 31st March 2016. That is the biggest quarterly upward movement for the ILS rate-on-line index in some time and now puts the index back at a level seen in late 2013. 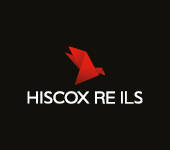 With the market expecting further property catastrophe rate declines at the mid-year renewals it is likely that the index will dip again, but the question will be whether the seasonal dip, caused by the volume of transactions around the Q2/3 point of the year, will see the general decline continue, or whether we are really seeing a true stabilisation and slight uptick. Lane Financial explains the upwards movement as “Indicating that rates have firmed since December,” going on to qualify that this could be due to seasonal factors or could be from a hardening of market conditions. To us the movement in the rate-on-line index likely implies both seasonality as well as the continued evidence that ILS fund managers are continuing to seek to enforce a floor in ILS pricing, below which they are not comfortable to descend. This floor has been evident for some quarters now and the rate-on-line index chart above clearly shows that the market has found a level where investor risk appetite continues to be compensated. However, it is important to note the level of the index back in 2004/5, as that suggests that further rate softening in reinsurance markets may result in further declines, especially if major catastrophe losses do not occur. Perhaps most telling, about whether the ILS and cat bond market is truly finding its floor, is the fact that both the last two Q1’s saw a decline and a very slight rise, where Q1 2016 has seen a much sharper rise in rates-on-line. As Q2 typically sees this index rise further we could see it get back to a level last seen in Q2/3 of 2012. That would suggest hardening has definitely occurred and that the establishment of the pricing floor has perhaps been completed, particularly if rates continue to decline at traditional reinsurance renewals. Of course, if ILS and catastrophe bond rates do truly harden it will only serve to make them less competitive with traditional reinsurance, which may not be a bad thing. It might encourage ILS managers to be more selective, as we enter what is perhaps the most dangerous phase of a soft market where slow steady declines continue on traditional contracts and cedents push for greater terms expansion, as rate declines aren’t moving as fast. It will be interesting to see how this index moves over the rest of 2016 and also whether a hardening of ILS and cat bond rates results in any slow-down in issuance. 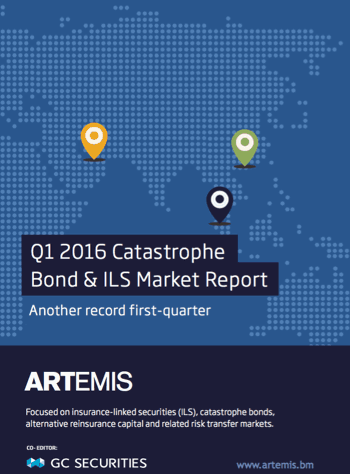 It certainly doesn’t seem to have affected the cat bond market in Q1, as it hit a record $2.215 billion of risk capital issued. Download the report from Lane Financial LLC, which includes a discussion of Trace secondary trading data, here.